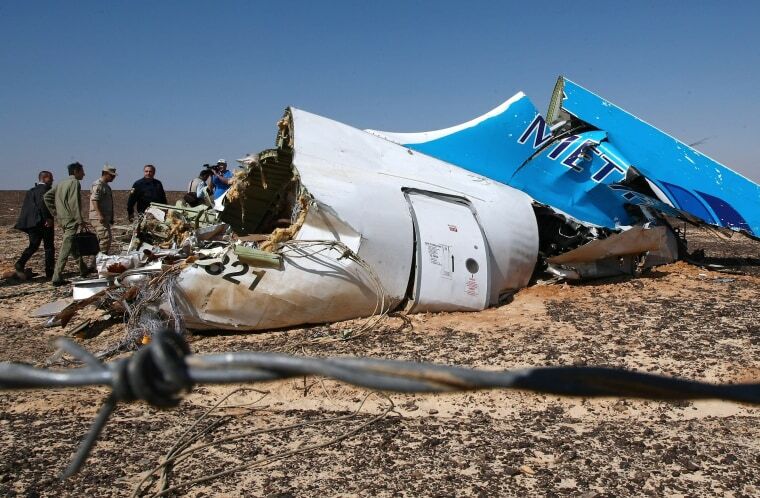 The Russian plan that crashed in Egypt over the weekend may have been brought down by a bomb, British Prime Minister David Cameron said Wednesday. Cameron issued a delay on United Kingdom-bound flights from Egypt's Sharm el-Sheikh airport, where the doomed jet took off, saying he wanted U.K. aviation experts to assess security there before travel resumed. "While the investigation is still ongoing we cannot say categorically why the Russian jet crashed," Cameron's office said in a statement. "But as more information has come to light we have become concerned that the plane may well have been brought down by an explosive device." Cameron will chair a meeting of Britain's crisis committee to review the situation later Wednesday, his office said. Questions have swirled over whether foul play or terrorism may have downed the Metrojet-operated Airbus A321 since it crashed in Egypt's Sinai Peninsula on Saturday, killing all 224 people aboard. The speculation has not been helped by claims of responsibility from ISIS — including a new claim via social media on Wednesday that its militants had downed the Russian-operated plane. Authorities have dismissed the idea the jet could have been hit by a militant missile — though that didn't stop several airlines from altering flight plans over the Sinai peninsula. The British government did not provide further information on the information to which it referred in its statement on Wednesday. Related: What Could Cause a Plane to Break Up in Midair? British investigators have not been among the teams investigating the crash, and the announcement from Cameron's office came as Egypt's Ministry of Aviation said data from the crashed plane's data recorder had been "extracted and validated." Egyptian experts were being assisted by representatives from Russia along with Ireland, where the aircraft was registered, and France and Germany — where it was manufactured 18 years ago — in their search for clues. The inquiry is expected to focus on whether an explosion — perhaps caused by a bomb — or a structural failure caused the plane to break up some 20 minutes into its flight, at about 31,000 feet. American intelligence sources have told NBC News that none of the passengers or crew members were found on any U.S. terrorism databases. An airport source told NBC News that Egyptian security at Sharm el-Sheikh Airport has been focusing on who gained entry to the departure hall, who was part of the catering and cleaning services, and who had permission to be in the departure lounge.